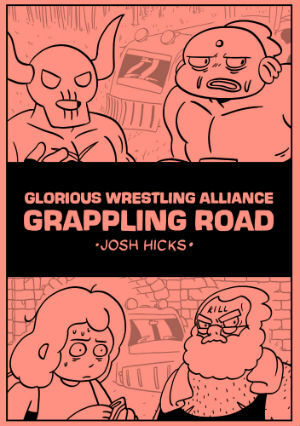 Back in 2016, the first edition of Glorious Wrestling Alliance– a gloriously silly send-up of the wrestling ring with a sprawling cast of endearingly ludicrous characters – convinced me to include its artist Josh Hicks as one of Broken Frontier’s 2017 ‘Six Small Press Creators to Watch‘. Since that first issue hit the small press sections of UK comics stores Hicks has had a collection of his work by Good Comics published as Human Garbage. 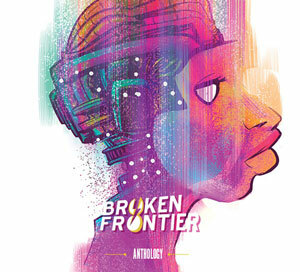 That anthology was well received not just critically but also proved immensely popular at last year’s ELCAF where it made its festival debut. Glorious Wrestling Alliance: Grappling Road sees the bizarre combatants of the GWA on tour for four weeks. But this is no welcome nationwide celebration of the grappler’s art. 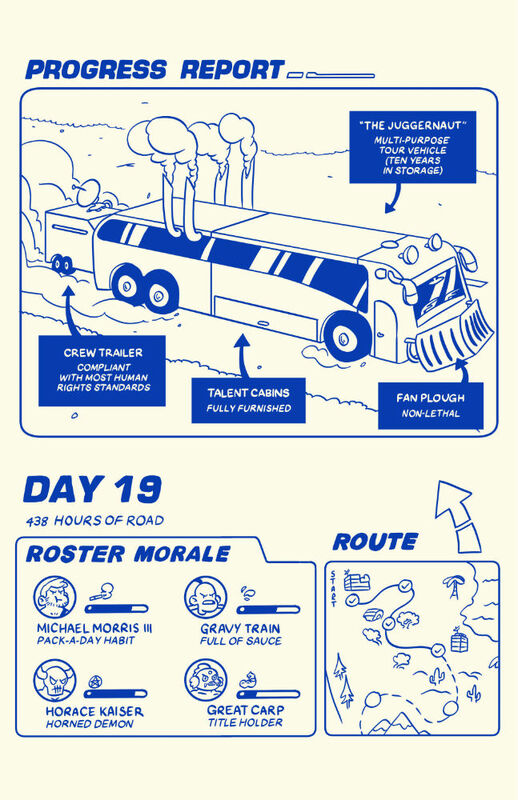 Instead the crew are trapped within the confines of their tour bus for the duration as they journey from gig to gig. Hicks uses the narrative structure of a road trip diary comic to present vignette-style spotlights on the GWA’s members, elaborating on their individual quirks and backstory and building in a clever punchline or seven at the same time. 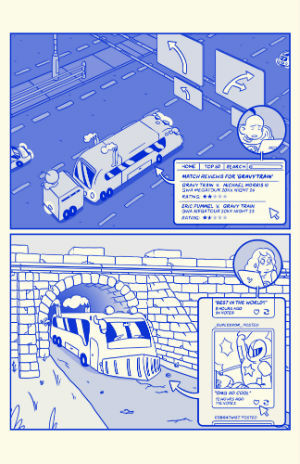 Hicks uses this overarching narrative as framing sequence for his neatly timed gags and humorous set pieces. 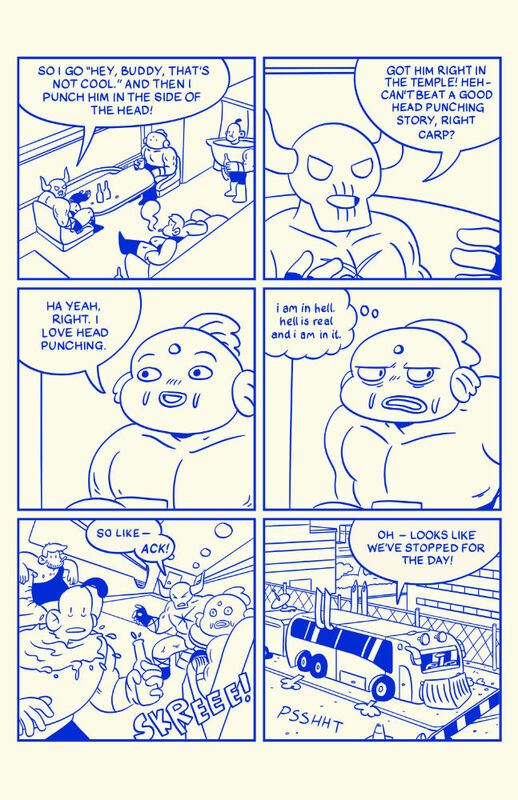 But, amongst all the welcome ludicrousness of the story, there are some quieter moments of delicately underplayed character development that ensure we react to Glorious Wrestling Alliance‘s cast not just as comic foils but as characters to invest in as well. A notable achievement given how brief their on-page time is. 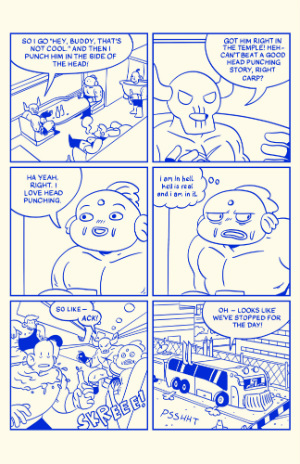 Hicks has a clear and animated cartooning style and the sense of motion and fluidity in his panel-to-panel storytelling is vital to the popularity of this book. 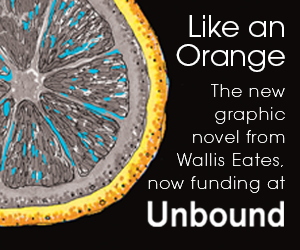 But the key ingredients in its success are his delightfully absurd imagination and innate understanding of the specific advantages of the comics form in showcasing his particular brand of humour. His playful use of lettering sound effects to emphasise his comedy, for example, is an element that may pass the casual reader by. The various graphic inserts into the strips (maps, technical drawings, phone screens, rosters and track lists) also provide an air of strange authenticity to a self-consciously slapstick affair. 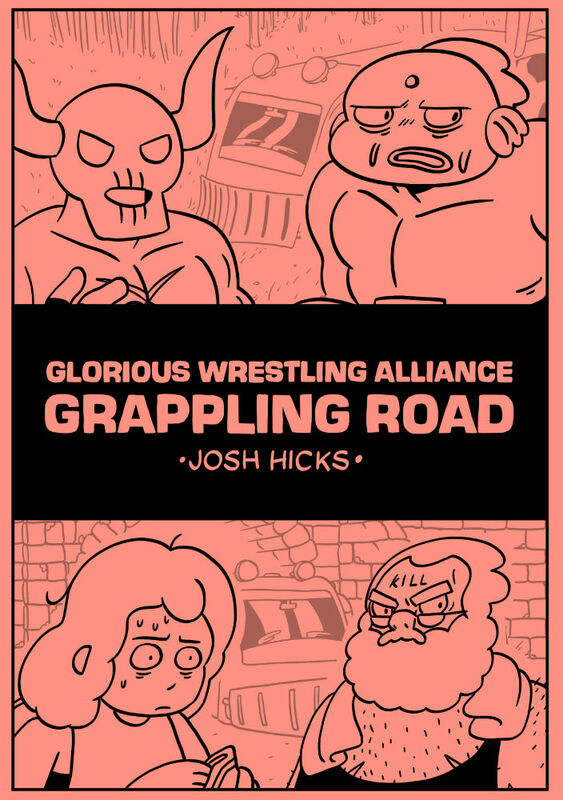 Glorious Wrestling Alliance: Grappling Road is an object lesson in pacing, characterisation, visual storytelling and plotting. For what could be viewed as an ostensibly throwaway concept there’s far more in terms of pathos and poignancy going on just beneath the surface than the obvious jokey set pieces and wrestling showmanship suggest on a first reading. Both GWA as a concept and Hicks as an artist truly deserve not just a wider audience but also a fuller-form platform for a group of characters who have a truly breakout appeal to them. For more on the work of Josh Hicks visit his site here and follow him on Twitter here. You can visit his online store here.